During a recent weekend in Sydney, eBay Australia arranged for surprise deliveries via drone of some awesome gifts to some of Australia’s most deserving friends. Have you ever wanted to reward a deserving friend with the ultimate techy surprise? 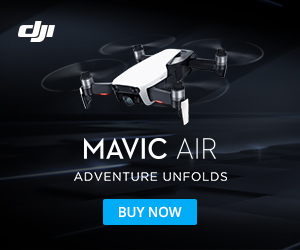 eBay Australia gave valued eBay shoppers the opportunity to do just this with a clever delivery of the latest technology this week, with the activation of the brands #DroneAFriend campaign. eBay received over 2,500 entries, with inspirational and hilarious stories and nominations shared from all over Sydney. eBay received everything from marriage proposals to pleas to save friends from their terrible taste in music. Fans were able to allocate their desired tech product to their nominee, ranging from the latest iPhone 6 to a GoPro, Nikon DSLR and Samsung Galaxy Tab S 10.5 to suit a whole host of tech obsessions. After rounds of deliberations, five worthy recipients were chosen and directed by the friend that nominated them to head to various Sydney locations from Bondi Beach to Macquarie’s Chair on the afternoon of Saturday 28th March.